1984! It's the consecration of Frankie Goes to Hollywood and The Bronski Beat while Depeche Mode stays on top with Some Great Reward. The synth-pop seems to flounder while Tangerine Dream is still surfing on Hyperborea and that Jean-Michel Jarre revolutionizes the genre with the superb Zoolook. On the English side, the fans of EM discover more and more their artists and still feast on the Assassin album by Mark Shreeve whereas Wavestar imposes itself with Mind Journey. Electronic Music is in motion and the synths are ogling the digital age. Klaus Schulze makes Angst and Steve Roach comes out of the unknown with the wonderful Structures from Silence. 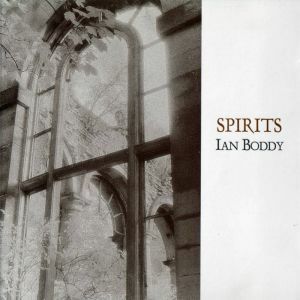 It's also the year that Ian Boddy releases his second album, “Spirits”. With the acquisition of a Yamaha DX7, which would effectively sweep the creative instincts of hundreds of musicians, Ian Boddy offers an album which combines complexity and ease with a strong scent of the 90's while flirting more and more with the Dark Wave but also with this energetic synth rock of the 80's and 90's. An oblong, high-pitched synth note stretches out its sonic spasm as some electronic percussion rolls to activate the beat and "Pulse" explodes in a fusion of synth-pop and of electronic rock. The rhythm is very catchy with electronic percussions very close to the genre of those years while the melody is raging with harmonic lines quite easy to enjoy and to retain. The music borrows a percussive corridor around the 2 minutes with good electronic roars. Nice and very easy to tame with his little synth-pop side a la A Flock of Seagulls and Talk, Talk! With its African rhythm structure, "Living in a Ritual" is a small find in the Ian Boddy universe. A bit odd because of the fascinating synth-sounding-like-guitar solos, the track also features Brian Ross, singer of the Leicester heavy metal band Blitzkrieg. His voice, joined with the effects of a Vocoder, as well as the half-sung and half-recited lyrics, make a sordid Black Mass. Looks like it was a good hit in Underground clubs of the time. I had a little guilty pleasure here! The opening of "The Sentinel" also plunges us into a musical vision very close to the sci-fi and horror films of those years. I'm thinking about Interview with a Vampire and the scenes in a cemetery! An avalanche of synth pads weaves a striking contrast in a sulphurous sibylline vibe. Some synth pads throw poignant reflections of virginity with celestial harmonic threads while others grow rather with an effect of debasement, of perversion. It's a thematic music of ambiences which respects a bit more this more Chthonian vision of England Dark Synth Wave. The 2nd part gets activated around electronic percussions which roll in a perpetual effect of stationary thunder whereas the principal elements of harmonies, which were quieter in the first 6 minutes of "The Sentinel", spring out in very good musical itches. Lasting more than 23 minutes, the title track should be at that time a good indicator of what will be Ian Boddy's next big achievements. Sewn in complexity, the music oscillates between its phases of Gothic ambiances and its violent, and rather well structured, rhythmic ride guided by Ian McCormack on drums. The opening is feed by a pile of organ layers and other ones with a slight perfume of celestial flutes. The drum thunders and resounds, melting into a gothic air mass modulated by a bass breeze giving a cathedral dimension to an ambience which still breathes through the roots of a music for happy coffins. Austere chords and synth effects will remind horror film lovers of the gloomy semi-comic moods in The Fearless Vampire Killers, while the music remains in its medieval cinematographic approach. The rhythm convulses in violent percussive jolts 30 seconds before 7 minutes! A structure of dance music and electronic rock soaks our ears with a lively rhythm where nestled beautiful melodious piano lines and tears of a violin still unable to cling to the jolts of percussion. Wandering in ill-famed alleyways, the rhythm breathes like a beast trapped in the tears of old organ layers while the keyboard spreads again its longline phases of piano tunes dancing like gypsy on a structure now guided by orchestrations. "Spirits" is always evolving! It will reflect about its new appearance in the echoes of huge church bells, infiltrating a sibylline crack to drown in the gargantuan organ layers. Quite a whole scenario for 23 minutes of music! "Lamalode" is a bonus track which appeared on the CD version of “Spirits” back in 1995 on Something Else Records. The music and its ambiances are in the tone with a signature which is very near of the title track and "The Sentinel". But there is no rhythmic explosion. They are rather philharmonic ambiences, including violin / piano, which extricate themselves from an introduction of chthonian atmospheres. I have found “Spirits” much stronger than The Climb! The music is heavier and the complexity of the structures, even that of "Living in a Ritual" which is quite remarkable by the way, give to it a spectral dimension which doesn't harm the harmonies, nor the kitsch side of rhythms built around both Beat boxes and real percussions pounded by a real drummer. There is everything to everyone here! Easy music to tame, a good mix of ambiences on a heavy structure of lead and finally a complex track dominated also by fire in the percussions. The bonus track? Humpfh!!! And like in The Climb, I really appreciate this reissue of Ian Boddy's 2nd album on his DINDDL download platform. We travel on the wings of time, to the sound of a very good Electronic Music which consolidates the birth of the England School started a few years ago with Mark Shreeve and Jim Kirkwood. A very good find! 1984! C'est la consécration de Frankie Goes to Hollywood et de The Bronski Beat alors que Depeche Mode reste bien en selle avec Some Great Reward. La synth-pop semble battre de l'aile alors que Tangerine Dream surfe encore sur Hyperborea et que Jean-Michel Jarre révolutionne le genre avec le superbe Zoolook. Du coté Anglais, les amateurs de MÉ découvrent de plus en plus leurs artistes et se régalent encore de l'album Assassin de Mark Shreeve alors que Wavestar s'impose avec Mind Journey. La Musique Électronique est en mouvement et les synthés respirent l'ère du numérique. Klaus Schulze fait Angst et Steve Roach sort de l'inconnu avec le merveilleux Structures from Silence. C'est aussi l'année où Ian Boddy lance son 2ième album, “Spirits”. Fort de l'acquisition d'un Yamaha DX7, qui allait effectivement balayer les instincts créatifs de centaines de musiciens, Ian Boddy propose un album qui allie complexité et facilité avec un fort parfum des années 90 tout en flirtant de plus en plus avec le Dark Wave mais aussi avec ce synth rock énergique des années 80-90. Une oblongue note de synthé aigu étire son spasme sonique alors que des percussions électroniques roulent afin d'activer le rythme et "Pulse" éclate dans une fusion de synth-pop et de rock électronique. Le rythme est très entraînant avec des percussions électroniques très près du genre de ces années alors que la mélodie fait rage avec des lignes harmoniques assez faciles à savourer et retenir. La musique emprunte un corridor percussif autour des 2 minutes avec de bons rugissements électroniques. Sympa et très facile à apprivoiser avec son petit côté synth-pop à la A Flock of Seagulls et Talk, Talk! Avec sa structure de rythme Africain, "Living in a Ritual" est une petite découverte dans l'univers Ian Boddy. Un peu bizarre à cause de fascinants solos de synthé-sonnant-comme-une-guitare, "Living in a Ritual" met aussi en vedette le chanteur de Blitzkrieg, Brian Ross, un groupe de heavy métal de Leicester. Sa voix, jointe avec les effets d'un Vocodeur, ainsi que les paroles, mi-chantées et mi-récitées, font un effet de sordide Messe Noire. Paraîtrait que ça été un bon hit dans les clubs Underground de l'époque. J'ai eu un petit plaisir coupable ici! L'ouverture de "The Sentinel" nous plonge aussi dans une vision musicale très près des films de sci-fi et horreur de ces années. Je pense entre autres à Entretien avec un Vampire et les scènes dans un cimetière! Une avalanche de nappes de synthé tisse un contraste saisissant dans une sulfureuse ambiance sibylline. Certaines nappes de synthé jettent de poignants reflets de virginité avec des filtres harmoniques célestes alors que d'autres croissent plutôt avec un effet d'avilissement, de perversion. C'est une musique d'ambiances thématiques qui respecte un peu cette vision plus chtonienne de la Dark Synth Wave Anglaise. La 2ième partie s'active autour de percussions électroniques qui roulent dans un perpétuel effet de tonnerre stationnaire alors que les principaux éléments d'harmonies, qui étaient plus silencieux dans les 6 premières minutes de "The Sentinel", jaillissent en de beaux ver-d'oreilles. S'exécutant sur plus de 23 minutes, la pièce-titre devait être à l'époque annonciatrice des divers courants musicaux qu'Ian Boddy emprunterait, seul ou en duo, quelques années plus loin. Cousue dans la complexité, la musique oscille entre ses phases d'ambiances gothiques et sa violente, et plutôt bien structurée, chevauché rythmique guidée par Ian McCormack à la batterie. L'ouverture est nourrie par un amoncellement de nappes d'orgue et d'autres nappes ayant un léger parfum de fûtes célestes. Des percussions tonnent et résonnent, se fondant dans une masse d'air gothique modulée par une brise de basse donnant une dimension cathédralesque à une ambiance qui respire toujours par les racines d'une musique pour cercueils joyeux. Des accords austères et des effets de synthé rappelleront aux amateurs de films d'horreur les lugubres ambiances semi-comiques dans Le Bal Des Vampires alors que la musique reste toujours dans son approche cinématographique médiévale. Le rythme convulse en violentes secousses percussives 30 secondes avant 7 minutes! Une structure de musique de danse et de rock électronique imbibe nos oreilles avec un rythme entraînant où nichent de belles lignes de piano mélodieux et des larmes d'un violon toujours incapable de s'agripper aux secousses des percussions. Rôdant dans les ruelles malfamées, le rythme respire comme une bête trappée dans des larmes de vieil orgue alors que le clavier réétend ses longilignes phases de piano dansant comme des gitanes sur une structure guidée maintenant par des orchestrations. "Spirits" est toujours en évolution! Il va réfléchir à sa nouvelle apparence dans les échos des grosses cloches d'église, infiltrant une fissure sibylline pour se noyer dans de gargantuesques nappes d'orgues. Tout un scenario pour 23 minutes de musique! "Lamalode" est un titre en bonus qui est apparu sur l'édition CD de “Spirits” en 1995 sur le label Something Else Records. La musique et ses ambiances sont dans le ton avec une signature qui s'apparente tant à la pièce-titre qu'à "The Sentinel". Mais il n'y a pas d'explosion rythmique. Ce sont plutôt des ambiances philarmoniques, incluant violon /piano, qui s'extirpent d'une introduction d'ambiances chthoniennes. J'ai trouvé “Spirits” nettement supérieur à The Climb! La musique est plus lourde et la complexité des structures, même celle de "Living in a Ritual" qui n'est pas piqué des vers, lui donnent une dimension spectrale qui ne nuit pas aux harmonies, ni au côté kitsch d'une musique nourrie de rythmes en boîtes mais aussi de vraies percussions pilonnées par un vrai batteur. Il y a de tout ici! De la musique facile à apprivoiser, un bon mélange d'ambiances sur une structure de plomb et finalement un titre complexe dominée aussi par du feu dans les percussions. La pièce en boni? Humpfh!!! Et comme dans The Climb, j'apprécie au plus haut point cette réédition du 2ième album d'Ian Boddy sur sa plateforme de téléchargements DINDDL. On voyage sur les ailes du temps, au son d’une très bonne Musique Électronique qui consolide la naissance de la England School entreprise quelques années auparavant avec Mark Shreeve et Jim Kirkwood. Une belle découverte!